Salty worked on an unnamed coastal railway for many years, where he acquired his vast collection of stories and songs, before coming to Sodor to work at the Centre Island Quarry with Mavis, Bill, and Ben. Salty was upset, being used to working near the sea, but he soon won the trucks over with his tales and sea shanties, and as a reward for his hard work was sent to work at Brendam Docks. 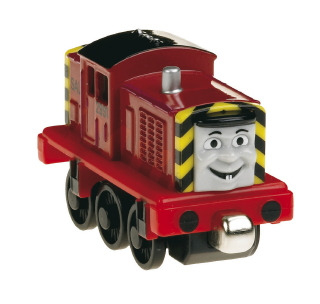 Salty has shared many stories with his fellow engines that have often come into play later on. He told Percy that the carpet he was delivering might be magic, and odd happenings convinced Percy and Gordon that it was. He also told a story about a treasure on Sodor, and Thomas followed all of Salty's clues and eventually found the treasure, just as the new Maritime Museum opened.